Meet the GRuB Victory Farmers! Victory Garden ProjectVictory FarmCultivating Community & LeadersGRuB Program "Pollination"
We empower veterans, active duty service members and their families to establish strong roots in their community. The Victory Farmers offer opportunities for veterans to transform their mission to one that cultivates life, while nourishing our families, our peers, and those in need. We empower veterans, active duty service members and their families to establish strong roots in community through continued service, peer-to-peer support, and a deeper connection with the natural world. Together, we are welcoming veterans home, growing good food and building community. Victory Farm is a safe, non-confrontational environment where veterans work shoulder to shoulder, immersed in the healing nature of the outdoors, agriculture and dirt work. In this environment, we find new meaning and purpose. Stories are shared, new connections are made and roots in community take shape. We offer hands-on opportunities for veterans to develop their skills in sustainable small-scale urban agriculture and food production. Learning opportunities include (and are not limited to): irrigation, fungi cultivation, vegetable propagation and cultivation, soil health, harvest techniques, and small market management. Victory Farm is a veteran-led project run as a partnership between GRuB & the Thurston County Food Bank. We invite all interested community members to connect with us to help us prepare the site for our first growing season in 2019. The Victory Farm is located behind the future Lacey Food Bank at 7027 Martin Way E, Lacey, WA 98516. Community takes on various forms for Victory Farmers. It is built on the concept that our work is an invitation to participate, learn, teach and help bridge the divide between veterans and the community at large. Community integration begins with an introduction, a conversation and active listening. Healthy relationships and human connection are our number one priority. Each participant, from veteran to neighbor makes up one part of our community. 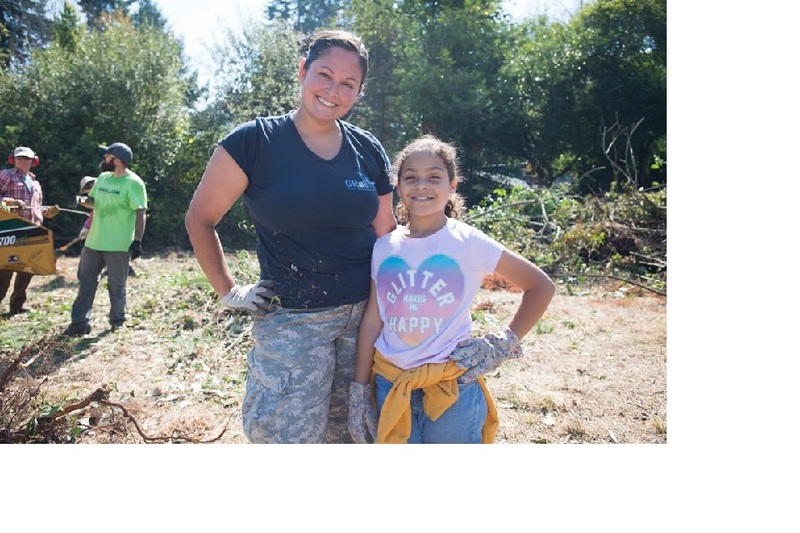 Victory Farmers are an integral part of the Victory Garden Project, building gardens with low-income people and families in Thurston County, Washington. From 2014-2018 veterans helped build nearly 300 gardens in the community. These gardens are providing people with opportunities to increase their health and self-sufficiency by growing good food right in their own backyards. Victory Farmers have access to various training, ranging from peer-to-peer support, conflict mediation, facilitation, collaborative & multicultural communication, council practice, to Applied Suicide Intervention Skills Training (ASIST).